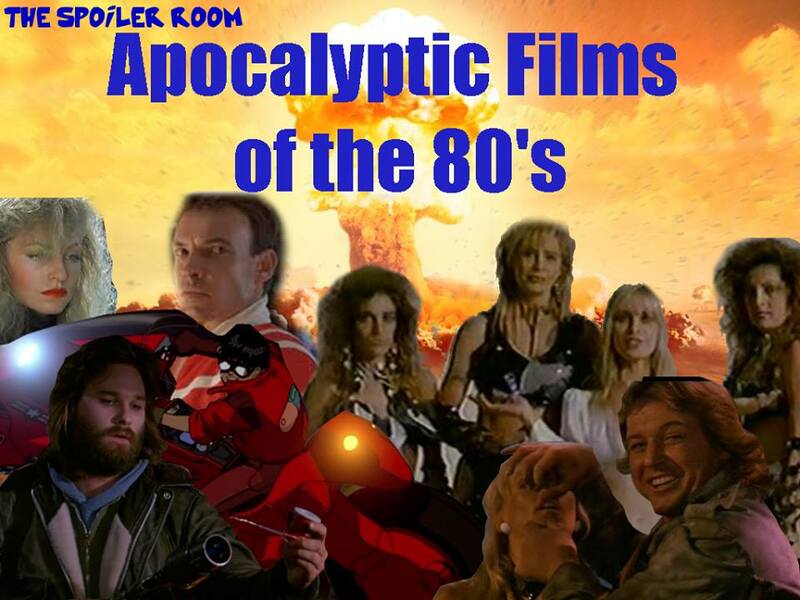 The Spoiler Room Celebrates the Apocalyptic 80’s! Ah, the nuclear scare of the 1980s. It was an age where our initial attempts to conquer the stars turned into us arming our satellites with nuclear warheads. Nukes were a big concern for children of the 1980s like myself. Always reactionary, the world of film managed to give us a few somber reflections on this such as TESTAMENT and THE DAY AFTER. Buuuuuuut for the most part, they reacted with films that touched on the wild, punk-infused life after the bombs drop. With that in mind, The Spoiler Room tackled some of the great apocalyptic films of the 1980s. Everyone brings their own favorites to the table and they aren’t the most obvious choices either. I was able to throw in my two cents along with Glenn Randall Buettner, Brad Ludwig, Cole Meredith, Paul Salzer and host Mark “the Movieman” Krawczyk. It’s over 90 minutes of pure post-apoc love. Click here to listen to The Spoiler Room!